BACKGROUND: Patients with Parkinson’s disease have substantially impaired balance, leading to diminished functional ability and an increased risk of falling. Although exercise is routinely encouraged by health care providers, few programs have been proven effective. METHODS: We conducted a randomized, controlled trial to determine whether a tailored tai chi program could improve postural control in patients with idiopathic Parkinson’s disease. 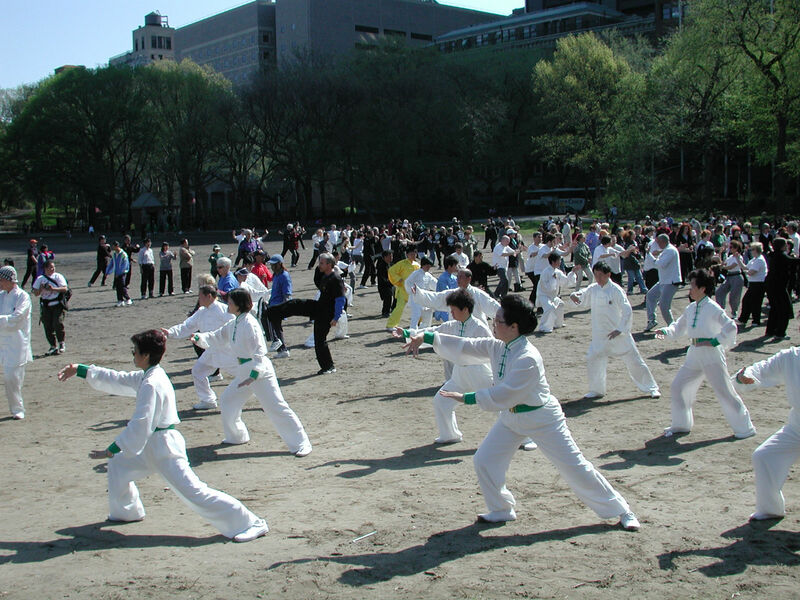 We randomly assigned 195 patients with stage 1 to 4 disease on the Hoehn and Yahr staging scale (which ranges from 1 to 5, with higher stages indicating more severe disease) to one of three groups: tai chi, resistance training, or stretching. The patients participated in 60-minute exercise sessions twice weekly for 24 weeks. The primary outcomes were changes from baseline in the limits-of-stability test (maximum excursion and directional control; range, 0 to 100%). Secondary outcomes included measures of gait and strength, scores on functional-reach and timed up-and-go tests, motor scores on the Unified Parkinson’s Disease Rating Scale, and number of falls. 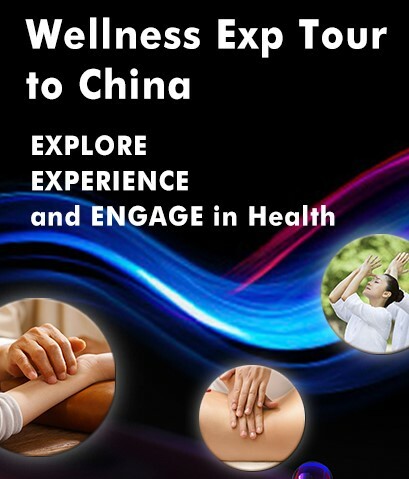 RESULTS: The tai chi group performed consistently better than the resistance-training and stretching groups in maximum excursion (between-group difference in the change from baseline, 5.55 percentage points; 95% confidence interval [CI], 1.12 to 9.97; and 11.98 percentage points; 95% CI, 7.21 to 16.74, respectively) and in directional control (10.45 percentage points; 95% CI, 3.89 to 17.00; and 11.38 percentage points; 95% CI, 5.50 to 17.27, respectively). The tai chi group also performed better than the stretching group in all secondary outcomes and outperformed the resistance-training group in stride length and functional reach. Tai chi lowered the incidence of falls as compared with stretching but not as compared with resistance training. 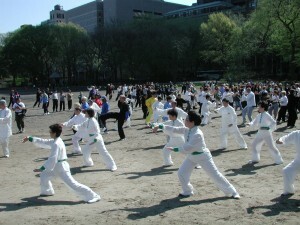 The effects of tai chi training were maintained at 3 months after the intervention. No serious adverse events were observed. CONCLUSIONS: Tai chi training appears to reduce balance impairments in patients with mild-to-moderate Parkinson’s disease, with additional benefits of improved functional capacity and reduced falls. (Funded by the National Institute of Neurological Disorders and Stroke; ClinicalTrials.gov number, NCT00611481.). TC training offered through existing community-based programs is a safe, feasible, and promising intervention for reducing multiple fracture risks. Our results affirm the value of a more definitive, longer-term trial of TC for osteopenic women, adequately powered to detect clinically relevant effects of TC on attenuation of BMD loss and reduction of fall risk in this population. Trail registration: clinicaltrials.gov NCT01039012. Effects of an 8-week meditation program on mood and anxiety in patients with memory loss. J Altern Complement Med. 2012 Jan;18(1):48-53. by Moss AS, Wintering N, Roggenkamp H, Khalsa DS, Waldman MR, Monti D, Newberg AB. From Jefferson-Myrna Brind Center of Integrative Medicine , Philadelphia, PA. This randomised trial compared the effects of Brain Wave Vibration (BWV) training, which involves rhythmic yoga-like meditative exercises, with Iyengar yoga and Mindfulness. Iyengar provided a contrast for the physical components and mindfulness for the “mental” components of BWV. 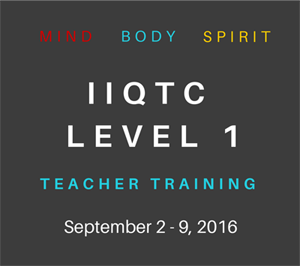 35 healthy adults completed 10 75-minute classes of BWV, Iyengar, or Mindfulness over five weeks. Participants were assessed at pre- and post intervention for mood, sleep, mindfulness, absorption, health, memory, and salivary cortisol. Better overall mood and vitality followed both BWV and Iyengar training, while the BWV group alone had improved depression and sleep latency. Mindfulness produced a comparatively greater increase in absorption. All interventions improved stress and mindfulness, while no changes occurred in health, memory, or salivary cortisol. In conclusion, increased well-being followed training in all three practices, increased absorption was specific to Mindfulness, while BWV was unique in its benefits to depression and sleep latency, warranting further research. 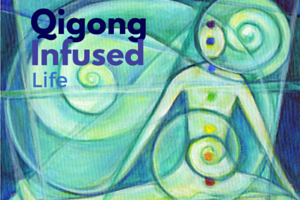 This entry was posted in Mind-Body Research Update, Qigong, Tai Chi and tagged mind-body, Qigong, research, taiji, yoga. Bookmark the permalink. thank you for these wonderful research articles on the effictivelness of Tai Chi..even practiced for only 15 min. 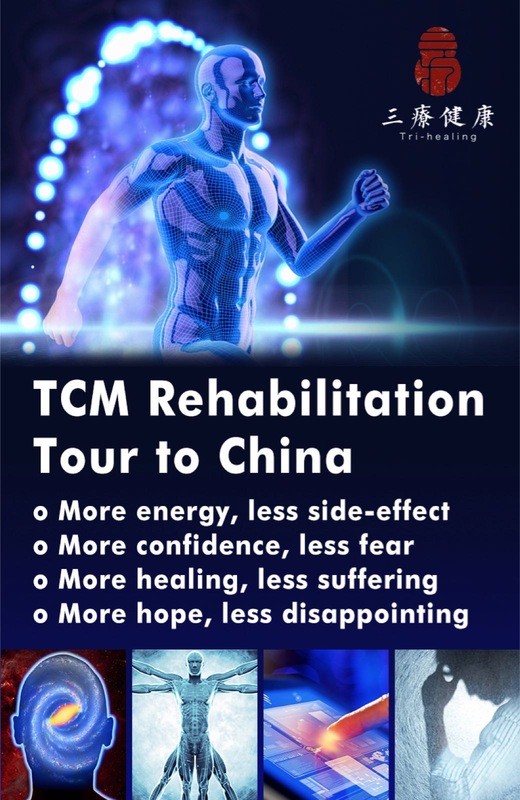 daily, and Chi Gong can improve the well-being, balance, sleep, memory and so many other things, I have a client with Parkinson’s disease I would like to show these to. Definately more research is called for in this area! thank you so much! I know all of this info because I’ve been teaching Taiji and Chi Gong to the Senior community for several years and see how well it works. Proof in text by authorities is the only way to get some people to believe. I just want them to come to the class to experience it for themselves.